I checked out of one of the spring-training facilities I hadn’t been to yet to see the San Diego Padres take on the Chicago White Sox. 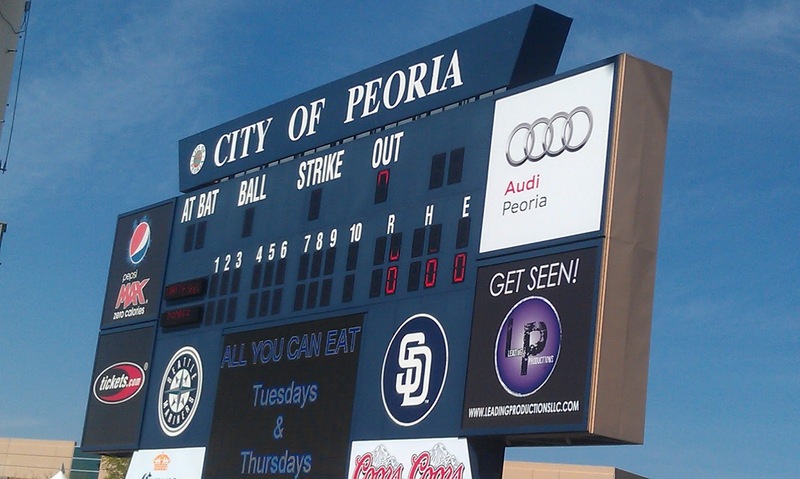 Peoria Sports Complex is in the busy Bell Road corridor in Peoria, near Arrowhead Towne Center. 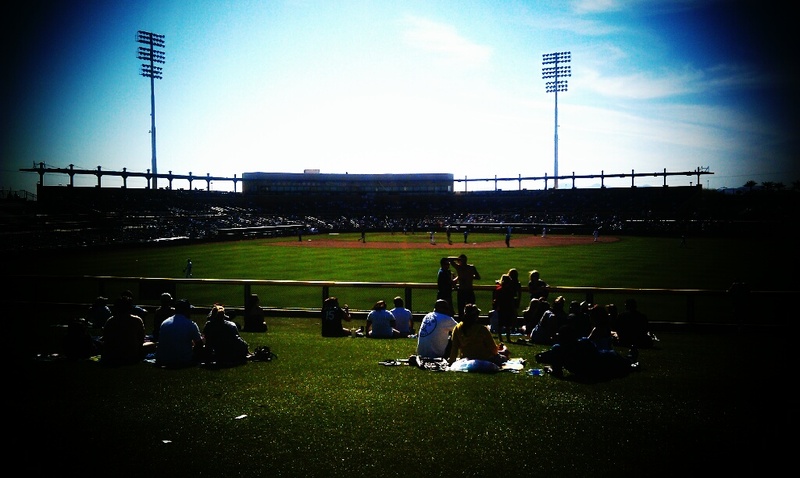 Padres vs. White Sox on March 13. Lawn seats are $6. TIPS: Bring cash, because concession stands were cash only, and parking was $5. There were no places to park for free nearby that I could find. (The shopping center across the street had a sign limiting parking to one hour.) Salty Senorita next door was offering specials and parking in its lot if you dine there.